Mama says it’s Murphy’s Law that anything that can go wrong will. Regarding us kids (fur and human), she says there is a corollary that says that if there is a big holiday coming up where good behavior is necessary and a good parental mood is a boon, the kids will misbehave in some way. Yes, Fellow Doggers, that’s what, happened to me and my hu-brothers. It was all the same kind of thing really. We all got an “attitude”. I don’t really know what that means fellow doggers. Maybe your hu-moms and dads can explain it better than I can. I’ll just tell you what we did. Let’s start with my big brother! Let me just say first that he’s a teenager. What did he do? Well, he “sassed” Mama one too many times. How many is too many? Once is enough if Mama’s in a bad mood and she’s in one because of the “sass” the previous day. So, he got a big lecture about “attitude” and “long summer” and “lots to lose”… I didn’t’ pick up all of it. Mama was talking kind of fast. Now my little brother — What did he do? 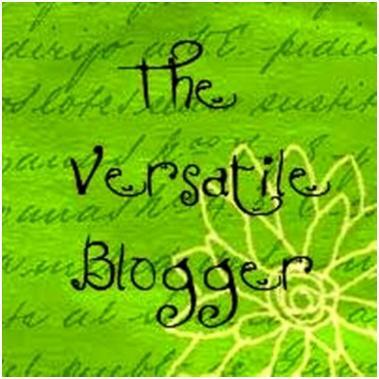 He was “provoking” – this is something that happens often. Usually, he provokes my big brother and there’s a little tussle. Then, Mama yells at both of them. This time it was me he provoked. Now on to me – the prisoner. Somebody walked by and I was barking at them, issuing my usual threats. Michael decided that I shouldn’t do that, so he grabbed me. I wasn’t expecting him to grab me, so I growled and snapped at him. I didn’t get him. I just let him know I had teeth. Mama heard me from the back bedroom and asked what happened. Michael told on me. (To be fair he left nothing out.) 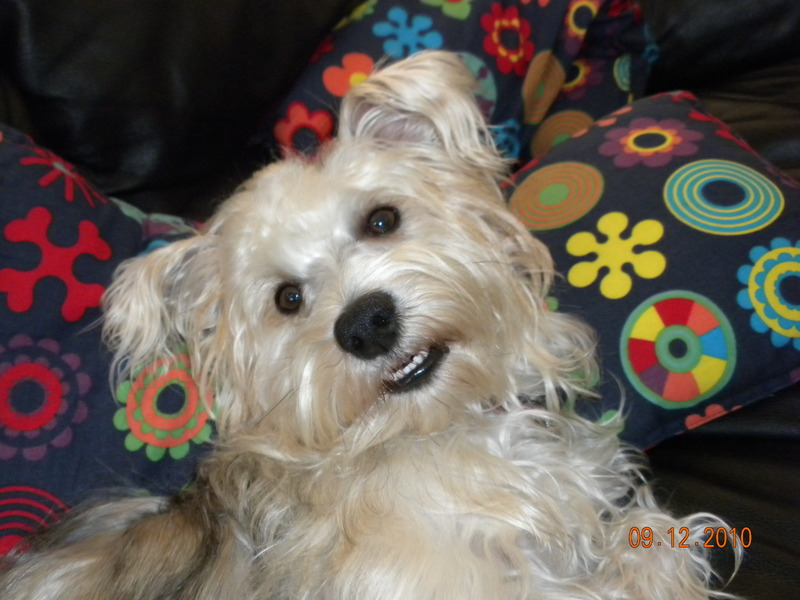 She called me “naughty dog.” She said that I am never to growl and snap at her puppies – ever. Then she told me to go to my crate for a time out. I’m not dummy. Mama was really mad ( Still in a bad mood from my older brother!) so I went into the crate with my tail tucked beneath my legs. Mama called me a good boy for doing that but said I needed some quiet time to myself. Then she closed the crate up. At least Michael got a talking to about grabbing me when I’m in my territorial mode. She told him that I’m not supposed to growl and snap at him, but he’s not supposed to do things to make me growl and snap. Provoking doesn’t get anyone off the hook with Mama. The provoker gets in the trouble and the sucker victim poor innocent provokee gets in trouble for succumbing to the provocation. Everybody loses. I suppose the lesson is that even if you’re provoked, that’s no excuse. I get it, but I’m not happy about it. Michael and I are both pouting a little. Hopefully, I’ll be out of this crate in time for all the cool Fathers Day stuff we do tomorrow. Wish me luck fellow doggers! For those that are seriously contemplating crate training. Part II of my crate training update might be useful. 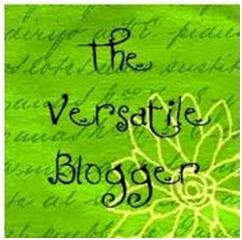 So this is just a quick little post with a few crating tips. Do NOT use the Crate as a punishment. If Opie’s misbehaved, and we ALL need a time out, we ask him to sit. (He’s pretty much on the Dean’s list with the Sit command!) We praise him for sitting on command and THEN we ask him to go to crate. Then we praise and maybe treat for that. We use sit to distract him from his naughtiness. Once distracted then he can go to his little house. We try not to make a huge deal out of letting Opie out of the crate. (Remember it’s not jail. It’s his special sanctuary.) So leave the door open all the time. (The only exception is when I need to brush him. He tries to escape me in there so I close the door so I can be sure and finish getting the snarls out of his very silky and “mattable” hair. We still occasionally treat him in the crate. 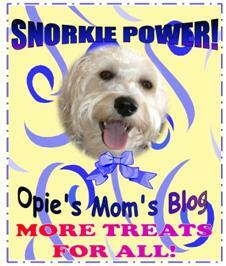 (Need a supply of healthy treats for your pooch. We like chicken jerky and our friend Gus from According to Gus loves liver.) The treats should be his/her absolute favorite and not given that often. People call them “high value” treats. We leave him alone in his crate. (No belly rubs through the bars or nose tickles.) He’s on his own in there. He can chew his antler or sleep. It’s his pad! 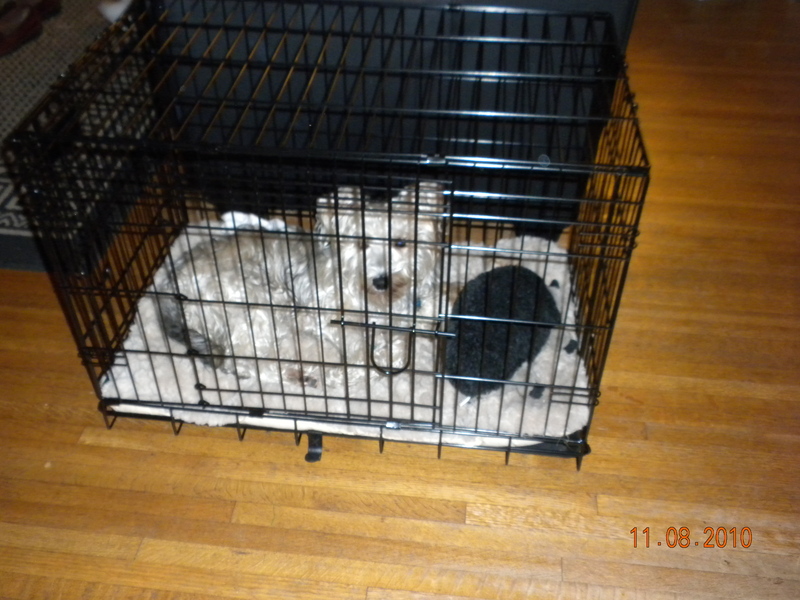 Opie never whined in his crate, but if he had our plan was to ignore it until he stopped and THEN let him out. We didn’t want him to get the idea that whining worked. I think we missed the whining issue because 1) He likes his crate, and 2) We put him in for short periods of time only, for a long time. Opie likes to keep a few toys in the crate, but we don’t let him keep more than two in there at a time. Toys are good in there, but not too many. We just discovered that Opie goes to create well for ME only. So here’s the tip. Anyone in the family who needs to be able to make him Go to Crate needs to work on it with him. So the boys will be working with Opie for a few minutes after school EVERY DAY until Opie goes to crate for them as well as he goes for me and his Dad. Where to put the crate in the first place? The internet if full of great advice about crate training, but the best advice I got was from the pamphlet that came with our crate. It contains pretty much everything you need. Some people place their crates away from everyone so that the dog can have a truly private place. This is the opposite of the advice we got from our crate pamphlet. The pamphlet suggested that the crate be placed near the family, but still in semi private place, like a corner of the family room. I can’t help but think that Opie’s crate contentment stems from the fact that he’s not in the laundry room, or near the garage door. 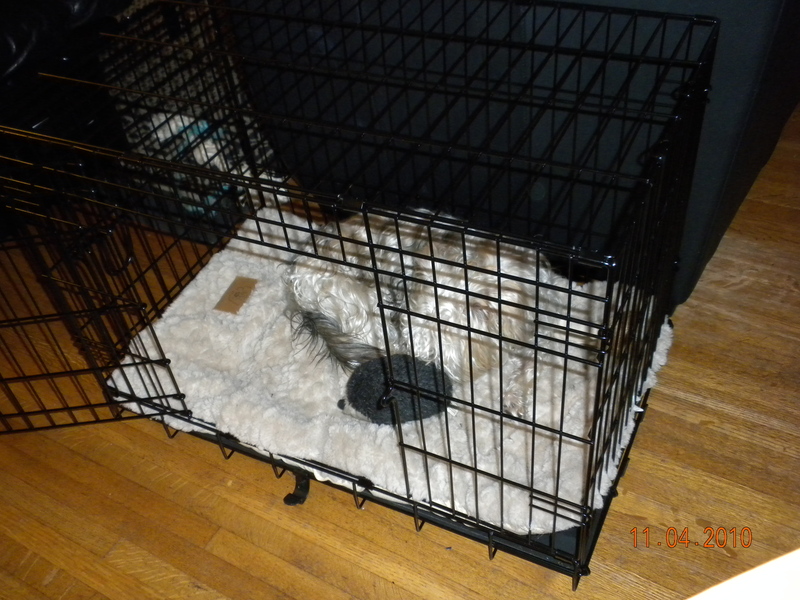 His crate is in a heretofore unused dusty corner of our family area. He’s got some privacy, but he’s also still with us 99.9 percent of the time. Consider carefully where you place your crate. Well, that’s all I can think of for now. People will probably have their own tips and suggestions and I am by no means any sort of dog training expert. There are great training videos on the internet and I know for a fact that some of my blogger buddies are pros at all sorts of dog training stuff. 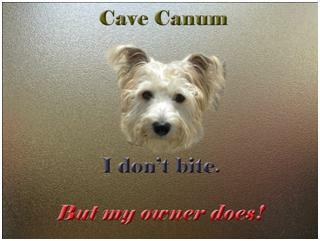 The purpose of this series was to show people what a non dog trainer can do. My personal belief is that if you give good love and boundaries to your “furrever” friend, the relationship will be easier and more satisfying for everyone concerned. Opie’s Sixth Day of Crate Training — Mama Disappeared. I thought I’d give you an update. First of all, to those starting to crate train you should know that it can be a slow process. All the literature says so, and they are NOT lying! Opie seems to be some sort of crate savant. He took to his crate immediately. 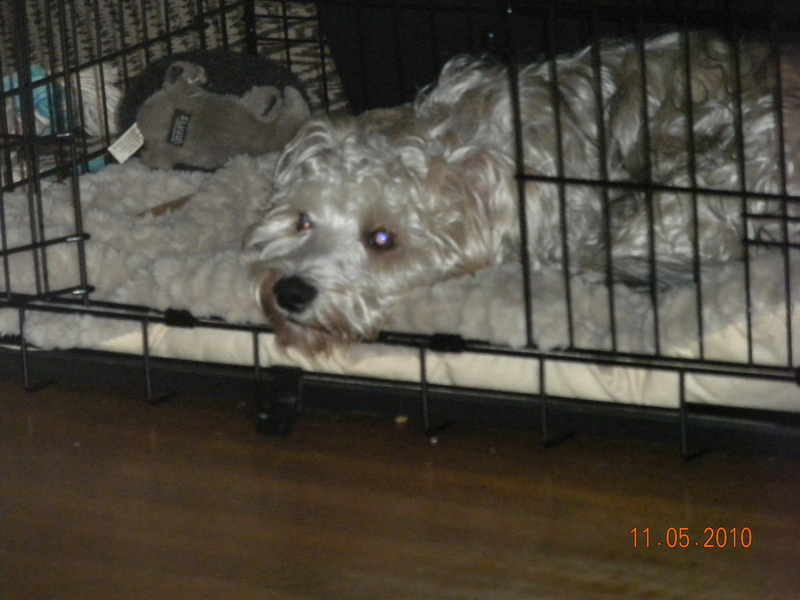 He completely relaxes inside of his crate. We continued to treat whenever he was in his crate. Eventually, we started shutting the door for short periods of time — ten minutes, then 20 then 30. He never complained or whined, not once! Then guess what happened. We got busy. We stopped actively training him about his crate. However, he continued to train himself. 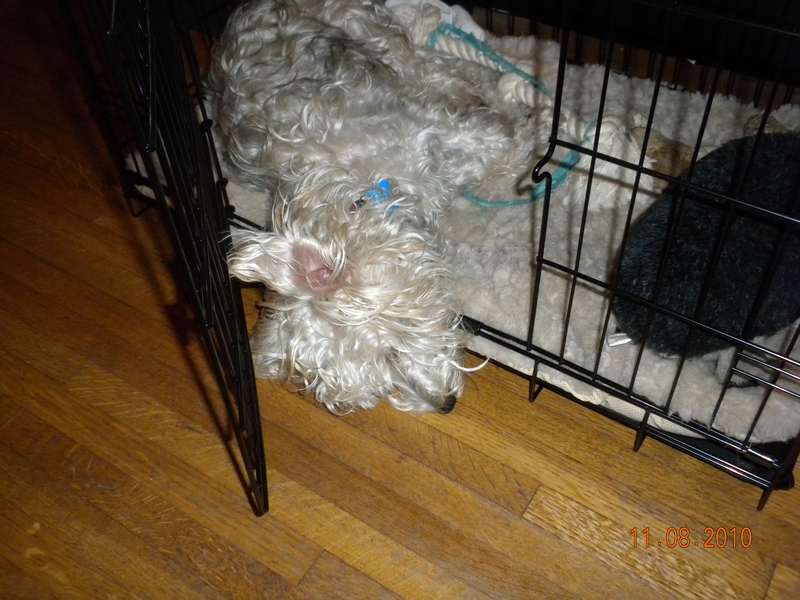 He can stay in his crate with the door shut without whining for about 1 hour. I say we stopped actively training because life got in our way. We put him in when we needed him in it, and he was just fine. However, Opie’s crafty. 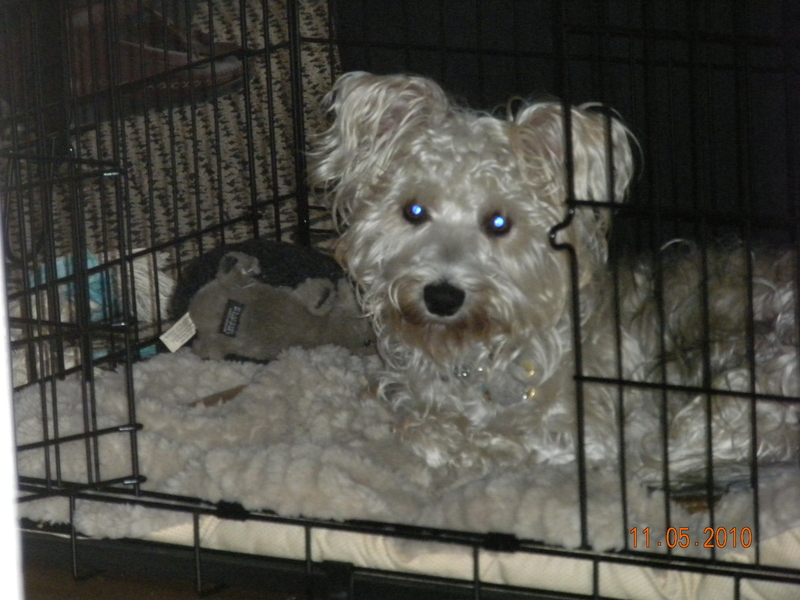 He understood that the reason he was in the crate was because he was a DICKENS DAWG. 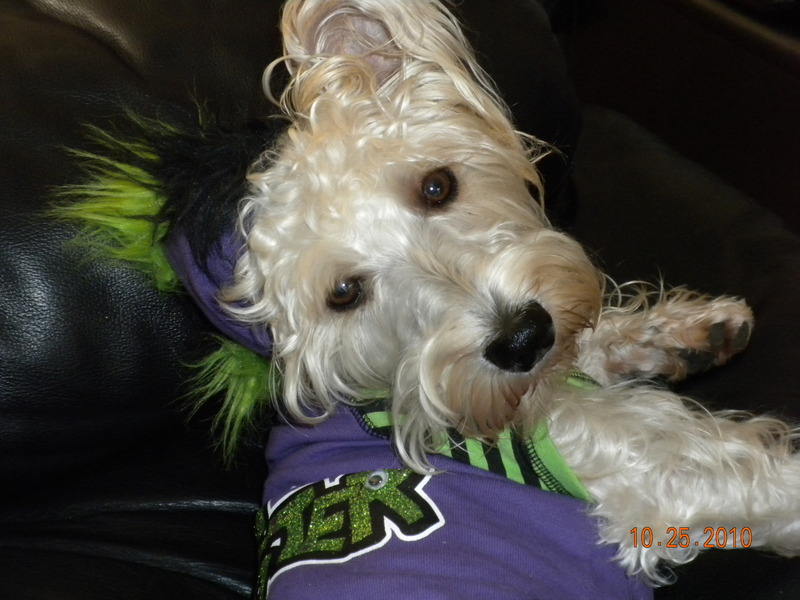 Just see my page for him entitled “Stuff I’ve destroyed” and you’ll see that he comes by the moniker “DICKENS DAWG” honestly! The obvious exception of course is the pumpkin pie incident. However, to be fair one of his parents was home at the time. You know who you are. Nevertheless, he loves his crate. He hides his bully sticks and antlers under the pad. 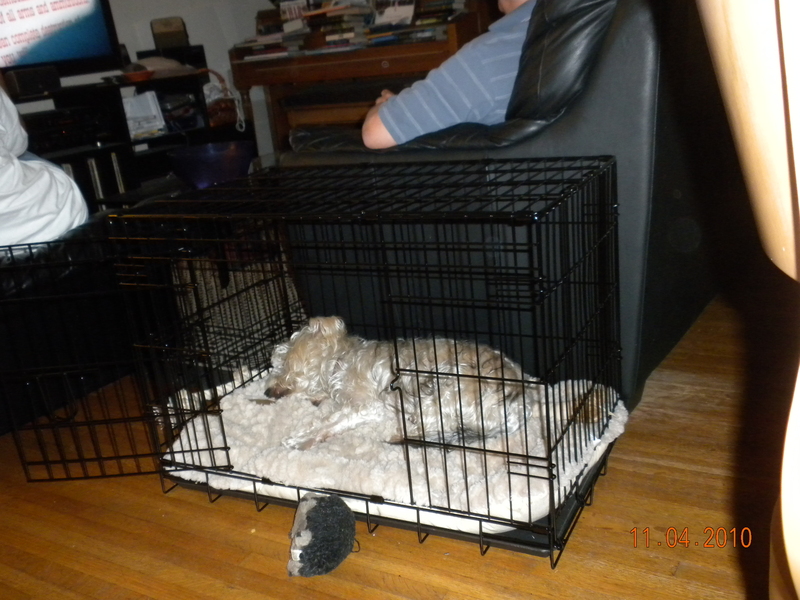 You’ll note that in the photos that the crate is located next to the couch in the family’s main hang out area. Opie likes to hang out in the crate, but also on the couch and perched in front of the front window to lay in wait for the mail carrier. I was afraid that eventually he would jump on top of the crate and tear off his dew claw, so he now has a pad on top of the crate. He’s turned his crate into a townhome. My eldest son moved the crate to the window and now he’s got a view. He can harass the mail carrier from his second story pad and then hop down to the bottom floor for a nap or sun himself on top of the crate. He loves it. He carries toys up there and performs gravity experiments to his heart’s content. When told to “go to crate” Opie goes pretty easily. Initially, we used his natural curiosity. When he went in the crate on his own, he was praised and treated. He did this fairly often, and so he got treats fairly often. I don’t know about your sweetie pie, but our Opie is a total glutton for chicken jerky. Pretty soon, it was easy as pie. Of course we mixed it up a bit. Sometimes he’d just get praise and no treat. Essentially, we used the same technique most people use to get their dog to sit or stay – treats and praise — Always praise and sometimes treat. This whole process takes a lot of patience and love. It will be slow. Opie is some sort of crate savant and the speed and ease that he took to the crate was totally NOT in the literature. Opie’s Sixth Day of Crate Training — Mama Disappeared! 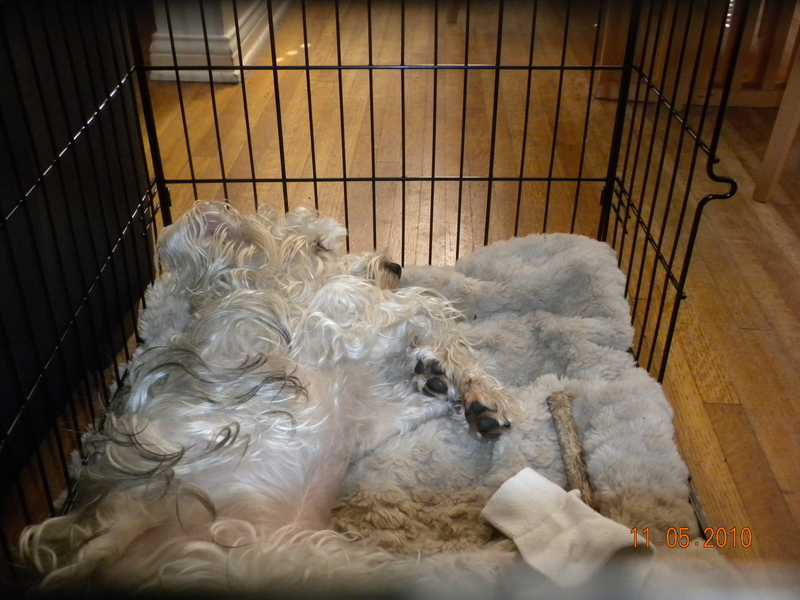 On Day 4 we closed the door, and we’ve been building up the time that he spends in the crate. We are up to about 30 minutes in the crate. I should mention that we continue to treat randomly and repeat the “Go to Crate” command. He’s doing really well with that. Today, we tried something a little new. Since I’m his number one love monkey we decided that if he could get used to me disappearing for a time while he was in the crate then we’d really be cooking with gas! The training material talks about leaving the house for short periods of time and gradually building up to the time we really want him to be happy in his little home. So, we started that a tiny bit today. Yes, the door is closed. So what, she'll open it in about 2 minutes, right? I disappeared into the back part of the house for about 5 minutes. There was one small keen and then he settled down. I think this was harder on the other members of the family than Opie. Nobody likes to hear Opie cry. Only a hard-hearted Mama like myself can tough this sort of thing out. Yeah, who am I kidding. I’m just lucky he let out one little whine. When I came back in the room after 5 minutes he was asleep — Thank God! He stayed in the crate a total of 25 minutes that time. When I opened the door, he acted just like he does when I return from an errand. He wiggled, tried to jump into my arms, etc. I may have put my foot in it. I had started to praise him while I was opening the door. I had no idea he was going to be so happy to see me. I didn’t go anywhere really. All the material says we are supposed to be very blase about the whole thing. “Oh, you’re out of your crate. 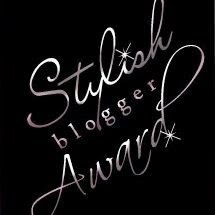 No biggy.” I wasn’t as nonchalant as the material said I should be. Obviously, I ‘ll have to do some remediation on this. In any case we tried it again later in the day, but errands and family circumstances kept us from training in earnest. Over the next few days, now that Opie’s Dad is recovering from his flu, we will put a little more intensity into this stage. I’ve had a sick husband and child at home over the past couple of days. Once they are all back to their normal tasks Opie and I can “Git R Done” regarding this stage of crate training. He still goes to the crate as his little place. His commands are getting better and better. I am optimistic despite this slowing down of our work. As you can see, he’s very comfortable with his crate. To close the door though sometimes I have to tuck him all the way into it. Oh, I am so sleepy... Mom will have to tuck me into my Happy Place! Once again, if anyone has any comments or suggestions regarding our training. I am all eyes and ears! Feel free to comment and give us some feedback. Opie’s 4th Day of Crate Trainining — We closed the door! Opie’ rates about 95% on his “Go to Crate Command!” We’ve been unpredictable all day regarding treats. Sometimes he gets a treat, and sometimes he doesn’t. He really likes the dry chicken doggy jerky that was on sale at Centinela Pet Supply and Feed. I closed the door on him for 2 minutes the first time today. No worries. He just sat there. Later on in the day, I jumped up to 5 minutes. I closed him in for 5 minutes intermittently all day while reinforcing “Go to Crate” commands. After a rousing game of leap over the couch, I put him in his little doggy home for 10 minutes. He was fine. He was tired from the game and curled right up. After that, we bumped it up to 15 minutes. No problems. No whining, no complaining. I left the room for one of the 5 minute sessions. I hadn’t planned on it, but I had one sick husband and one sick child at home. I had to administer Motrin and wash a thermometer. Opie was great. Here are the pictures. You can see for yourself how unperturbed he is so far. Hedgie makes a nice pillow. I’m so sleepy…. zzzzzzzz! As you can see, so far so good. We’ll continue increasing the time that Opie spends in the crate and disappear from his view for graduated lengths of time. He really is doing quite well at this. He’s already discovered that he can avoid grooming wipes and brushing if he disappears into his crate. No one is allowed to coax him out of it. We want him to see it as his personal sanctuary. Once again, any comments or suggestions are greatly appreciated. Early in the afternoon we went to the Dog park. Opie had a good romp with 5 new dog friends. He was suitably tired when we got home to pick up my husband and youngest son. The eldest decided to stay home. We took Opie with us to the pet store so that we could be certain that the crate I’d looked at was the right size for him. I also wanted my husbands input on whether this was the kind we wanted at all. Here is the one we chose — Precision Crate GRC3000. Opie can stand up in it and theree’s room for him to turn around a few times to get comfortable. He’s the size of most toy poodles or Mini schnauzers. He weighs 20 pounds. This crate is just the right size for him. Here are the dimensions — 30″L x 19″W x 22″H. You’ll notice that it has two doors. We weren’t exactly sure how we’d set it up. We liked the flexibility. As it is, we are not entirely happy because neither door opens so that it is flush with the crate wall. This means that with the door ajar we run the risk of shutting it accidentally or running into it. It’s a bit of a hazard. We may rethink where the crate is currently. 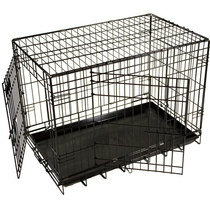 This is a collapsible crate and really easy to put together. It comes in a flat box. You pull it out of the box and just pull it up. There were directions, but the crate was up and ready before we finished reading them. Opie’s bed was already made by the same people who made the crate and the exact right size. We’d bought it back in July when we first adopted him. It fit perfectly within the crate. I should tell you that Opie was sniffing the flat crate and tried to go into the it before it was ready a couple of times while we were putting it together. 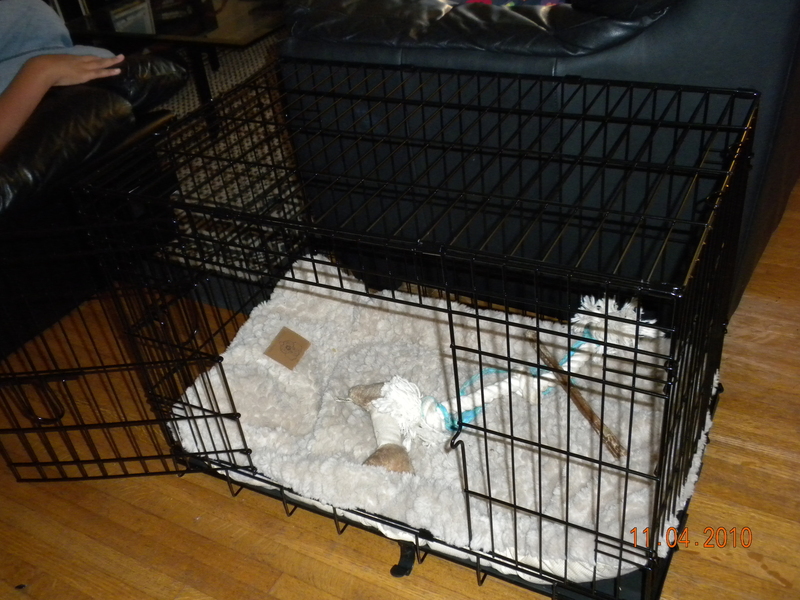 Opies Crate with a few toys and his bed -- ready for use! We put his bed inside, his bully stick, and tug of war rope. All the literature said that the crate should be located where the family hangs out. We placed it right on top of the usual spot where his bed rests. He sniffed the outside of it. All the literature said that we should gradually get him to go near it with treats — that we should be gradual about everything. However, it was dinner time. So, we put his dinner bowl inside. We expedited this step a bit. He ate all of his food and went for a walk with my eldest son. 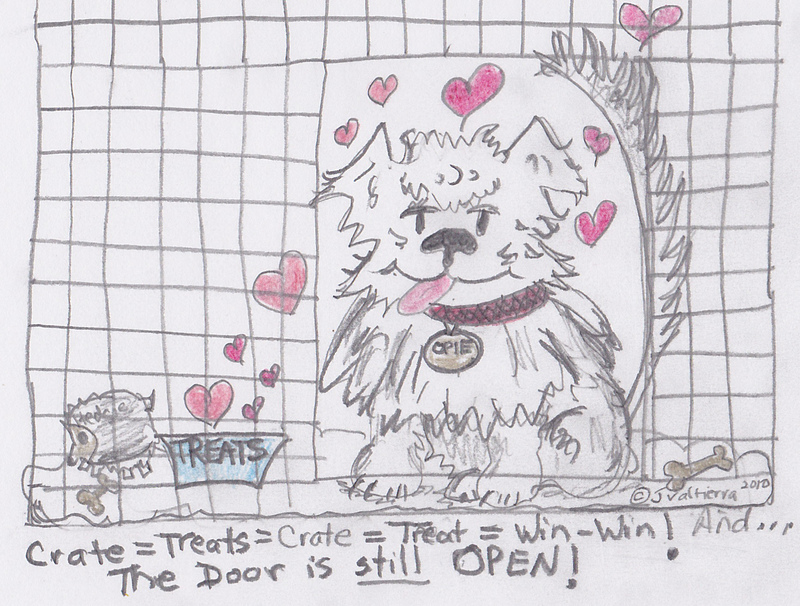 When he got back, we had treats in the crate. Within about 2 hours, here’s what happened. Hmm this looks interesting, ...hmmm smells familiar... TREATS!!! Opie went in and out of his crate for the remainder of the evening for little naps. We continued to reward him with treats and praise for being in his crate. By 10PM we all decided to go to bed. Opie dragged himself out of his crate and went to his bed in our bedroom and flopped down. He didn’t budge until 6:45AM. 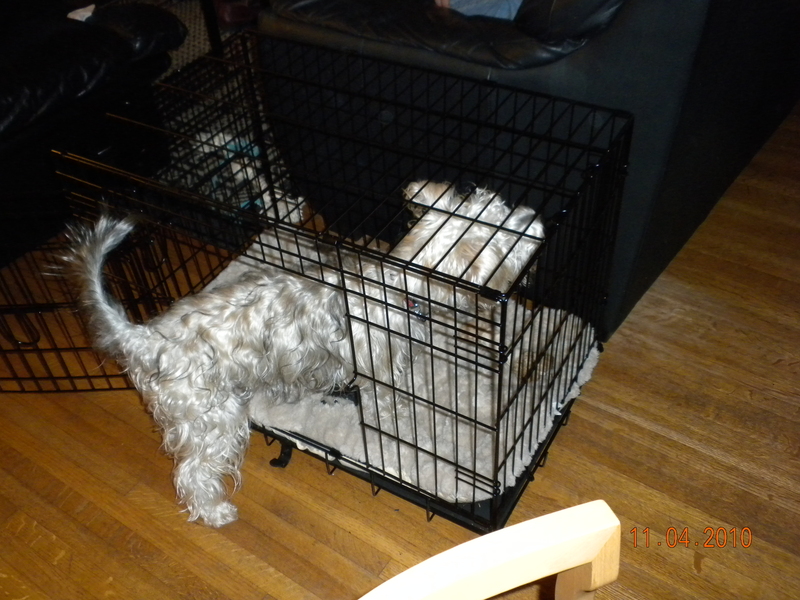 So that was our first day… I think this dog was crate trained before. Feel free to offer comments and suggestions for our crate training journey. We plan to try closing the crate on Saturday for short times. I hadn’t anticipated doing this so soon, but as I recount his first day, he is currently resting in his crate and chewing on his bully stick. Go figure! Getting back on my feed! Revving up for Crate training. Mom says I'm eating like a little monster, but I have a puppy tummy. That's not good. According to Dad, I’m “back on my feed.” I hadn’t been eating all my food. I’d eat part of my breakfast and then Mom would take it up. I eat two meals a day. At about 6 PM I’d get my dinner but I’d only eat about half of that. I was eating really only one meal a day. I wasn’t getting very many treats either. I dont’ know why I didn’t want to eat. My tummy felt okay, just a little full. Mom has a theory. I’d been eating things I shouldn’t eat and that robbed me of my appetite. 2. I think I ate part of an ink pen. 3. Michael’s wood project — It was this really neat catapult that he built from scratch. He’s a little mad at me right now. 6. Mom doesn’t know it, but I’m chewing on a piece of the living room rug. It’s in the corner. 8. I ate a bug outside — I don’t know what kind it was, but it was tasty. I usually look for them when the squirrels aren’t in my tree. 10. I ate a hole in Michael’s sock. His socks are the best. I even try to eat them when they are on his feet! He smells so GOOD! He leaves them all sorts of places, even in my bed. I love Michael. Mom did a clean sweep of the house a few days ago and I haven’t had any of those lovely and tasty things in a couple of days. I ate all my breakfast yesterday and all my dinner. I just finished all my breakfast a few minutes ago. I’m waiting on Daddy to take me for my walk. I am definitely back on my feed. Mom says that I’m getting into too much stuff. She was on the Internet all day yesterday pricing crates and reading about crate training. She’s worried I’ll eat something really bad and make myself really sick. I might even be able to go on a family vacation with my crate. From what I heard her tell Daddy, I’m supposed to like my crate. I’m going to love all the treats I get to go into it and I’ll have a place to hide my bully sticks. Mom’s even talking about making me plate of chicken breasts to expedite my love of the crate. She wants to associate the crate with my absolute favorite treats. I LOVE CHICKEN BREAST– Not that dehydrated stuff but the ones that Mom cooks. She hasn’t made me one in a long, long, long, long, long time. I think I’m going to like crate training. I will miss the occasional eraser though. They’re very nice. Mom says to expect a series of blogs about crate training and some stuff she’s trying to redirect my chewing issues. She’s doing research now. To Crate or not To Crate, that is the question..
We’re getting ready to go to out to breakfast with friends. Before we leave the house we have to “Opie proof” the living room. What does that entail? Remove everything from the dining room table, especially any paper napkins, pencils, paper clips, or other detritus of school homework tasks. Clear off the coffee table completely. Move my computer chair into the laundry room. Make certain that if he jumps into it he can’t go anywhere. Close the lid on the laptop and push it well back against the computer desk. Close the bedroom and bathroom doors. Lock the kitchen trash can and make certain the reciycling container is latched down as well. Laundry basket locked up in a bedroom. Okay we’re good to go. When we return home we look to see if there’s been any damage. Paw prints on the coffee table — yep! Mail from my computer desk spilled all over the floor — yep. Not too bad really. Last week he destroyed two pillows. They’re gone, so there’s not much else to ruin. We make a laughing complaint to our breakfast buddies about the ” Opie Proofing,” and the suggestion is made to crate train him. They have crate trained Rhodesians Ridgeback, and they swear by it. The Pros are obvious — he’ll have his own little den, and our den will stay pristine! He’ll have a place to actually hide his bully stick! He might even be able to tolerate a kennel better because, and of course, he can travel in a crate. I read all the Internet literature on crate training. It is highly persuasive. Destructive behavior is minimized, and dogs feel more secure, according to this literature. Opie Crate Free and all over the furniture! The Cons — it will break my heart to shut him up in his little jail while he’s being trained. Some dog trainers have linked it to Stockholm syndrome for dogs. So, if I crate train I turn into some sort of kidnapper or warden?!!! This actually makes sense to me. A friend of mine recently told me that his crate trained dog is so well trained that he does not need to latch the crate. 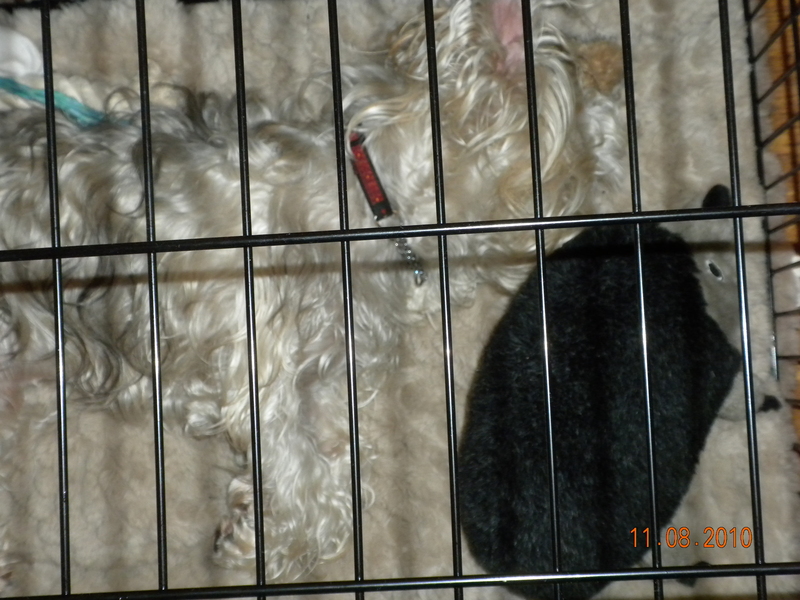 The dog comes in and out at will, but when he returns from work the dog is in his crate. That behavior could definitely be a pro, but I was reminded of the way that East Indian elephant trainers trained elephants. Take the baby elephant when it is small and stake it with a HUGE chain to the ground. The baby elephant is too small to break the chain. Eventually, the trainer can replace the chain with a rope, but the elephant is conditioned to believe that he has no escape. I always thought this was a sad story. Maybe it’s apocryphal, but I know where my heart is. I just can’t do it. I don’t want to be Opie’s jailer, or condition him to accept and love his jail. Now, I know that’s not really a con. That’s just me not wanting to do it. Sometimes you have to go with your gut instinct on things. What’s right for some may not be right for others. I like being Opie’s mom, not his warden. Do we really have to crate? Now rationally, let’s see if crating is really necessary for our family. 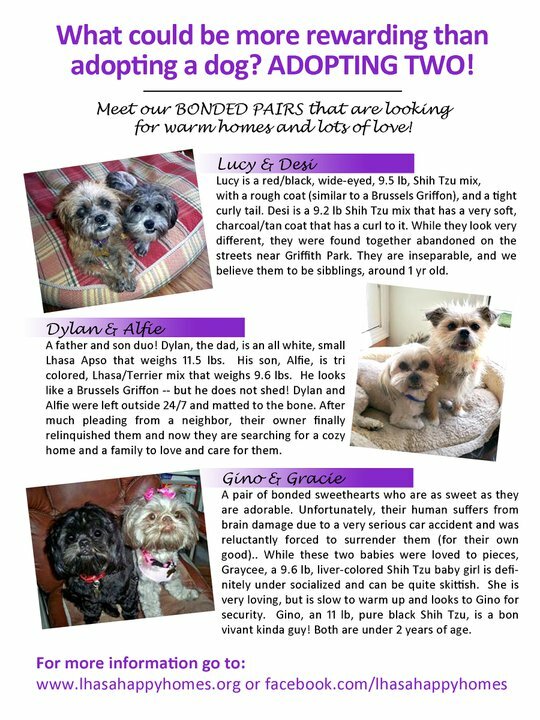 Here is our family situation. My husband and I both work at home. During the 9-5 hours that most people are at some office, we are home. We eat lunch at home. On our lunch break we eat at the dining room table and watch Netflix episodes of Bones ( Love that show!) We take breaks at home. We work in our home offices 7 days a week. The only time we go out is on the weekend, to the movies, dinner, social engagements, etc. Before Opie, the only exercise we got was walking from the kitchen refrigerator back to the desk. Now we walk a couple of times a day for at least 30+ minutes a day. Most people crate because they have to go off to work and they don’t want to return home to a disaster. They are gone perhaps 8-12 hours. 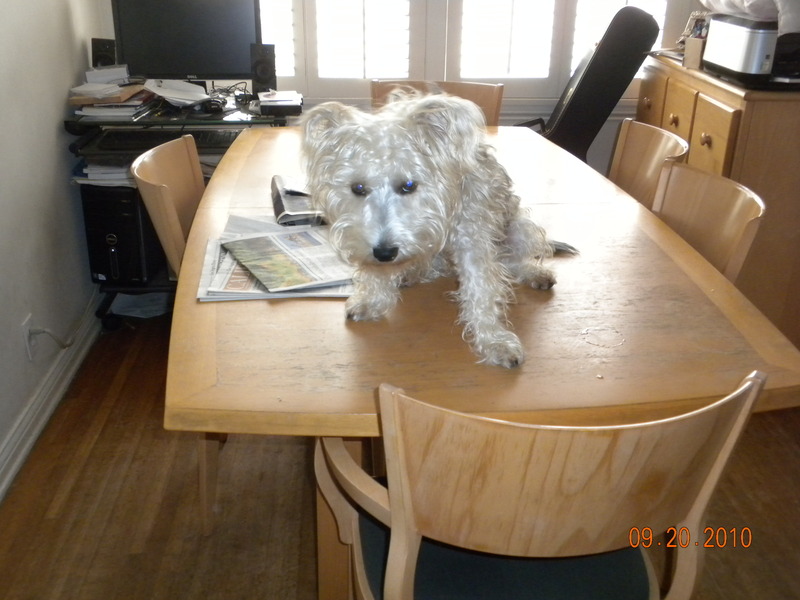 Even a well trained good natured dog can get into a lot oa mischief in that time. Some dog from wikipedia in their soft crate. Clearly, not Opie. For the most part, Opie is in our clear view all day — Perched on top of the couch as if he were a cat, watching the passers bye out the front window, keeping tabs on the local squirrels. Is there an area of our house that is completely off limits to him? No, not really. The boys close their bedroom door because they are never too sure they’ve put all their Legos away. They don’t want Opie to eat one and choke on it. Correctly, they treat him like a baby who might put anything into his mouth. Additionally, both boys have a collection of some items ( stuffed toys, action figures, etc. ) that Opie might find irresistible. These things are “supposed” to be put away or on a shelf, but the boys are only 8 and 12. They aren’t perfect. Opie is only banned from our bedroom when the back window is open. The squirrels are irresistible, and he’ll knock out the screen to get to them if that window is open. Of course, the trump card in favor of crating is the inevitable summer or spring family trip. No — no trump! 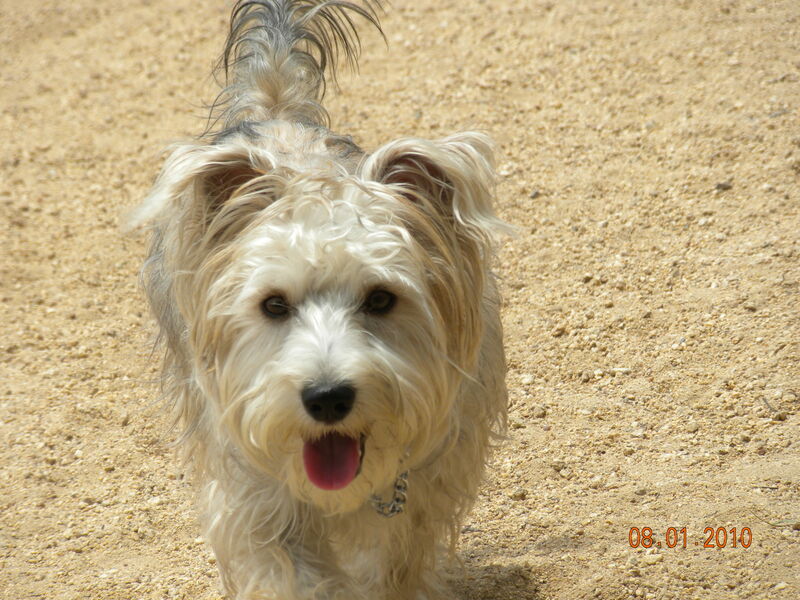 We plan to kennel him or let him have an extended play date with his old foster family. They offered and we must might accept. I found a local kennel that has webcams in all the “dog play rooms and kennels” so that you can check on your pup via your computer if you’re away. ( I wish they had one of these at the boys school!) You can literally be a fly on the wall. I’d never crate him for the 5-7 days we’d be away from the house. Never, never, never! What would our life be like if Opie were crated when we went out to eat or to the movies? Well, the boys would not feel compelled to pick up every small toy that creeped out of their room mysteriously. Shoes would remain scattered underf the coffee table without fear of some little Snorkie chewing them to bits. The dining room table would remain cluttered with all kinds of stuff. The coffee table would go back to being the receptacle of used glasses of milk, juice and the odd bag of pistachios. In short, our house would be a mess. Something odd has happened at our house since we got Opie. Our house has gotten neater. Counter tops, table topis, coffee tables, and the floor are clear. It used to be an uphill battle to get the boys to put away their stuff. They started shedding their clothes the minute they came home from school. Base ball caps — all over the place. The threat of some little Opie eating up their prized possessions has made them pick up after themselves. Bottom line — the little work I do to Opie proof the living room before we leave has a huge benefit for our family. I just realized that Opie has trained the boys to clean up their room and take care of their things! Hmm! I suppose Opie’s quiet chewing up of stuff is a much more effective deterrent to clutter than my ranting and raving. Just call me Little Opie Homemaker -- I may get my own show for this! Now, if I could just teach him how to use the washer and dryer, fold and hang up clothes. Hmm… Where is that treat bag?